This iconic ‘Lunar Bible’ represents the first Bible, first complete scripture, and indeed the first true book ever carried by Man to the Moon. This complete Lunar Bible contains all 1245-pages of the King James Bible, and was printed in ‘Microfilm’ format (this was the only format possible for flight to the lunar surface). 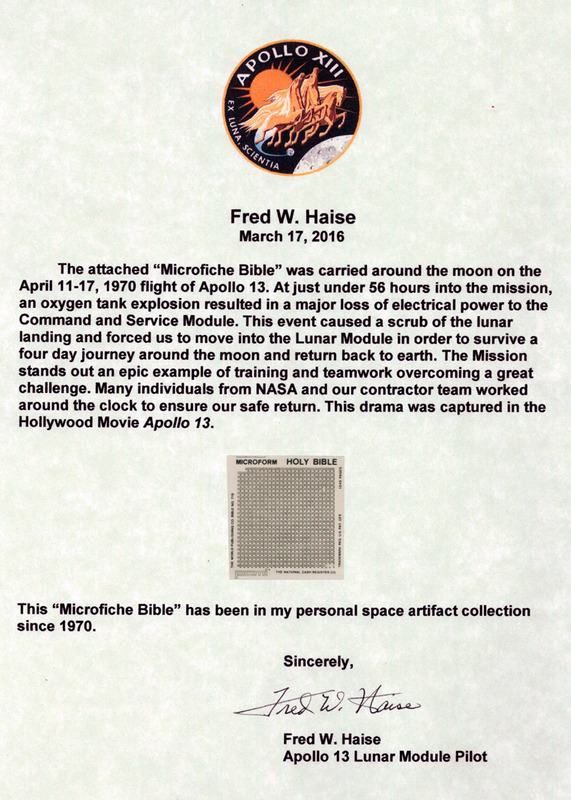 The bible measures 1.5 x 1.5 " and came directly from the collection of Apollo 13 Lunar Module Pilot Fred Haise, who also supplies a hand signed COA. This Bible was one of 512 that flew around the Moon on Apollo 13, but due to a near-catastrophic explosion the Bibles did not land and instead returned to Earth. 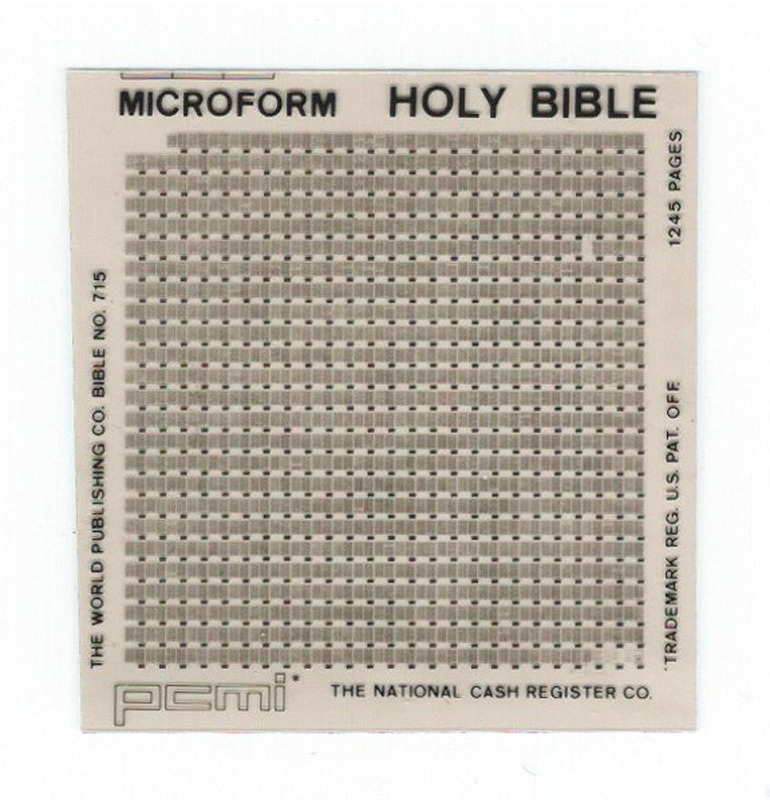 300 of the 512 Bibles were given to Apollo 14 Lunar Module Pilot Edgar Mitchell who stowed the them in his PPK bag and landed them safely on the moon February 5, 1971, on board lunar module Antares. Fewer than 100 of said 300 complete lunar–surface Bibles remain in existence today, the rest were cut up. 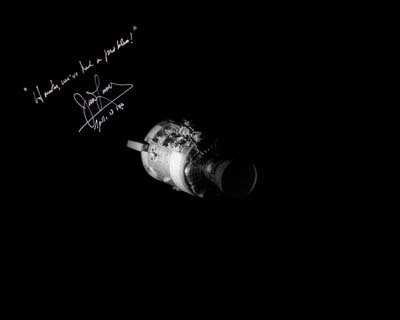 It isn't known exactly how many of the original 212 Apollo 13 Flown Bibles remain intact.